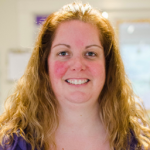 Jennifer began working at Woodside Children’s Center in June 2013. She has over twenty years of experience working in programs that provided before- and after-school care, vacation-week programs, summer camps, infant and toddler programs, preschool programs and family childcare. She earned her undergraduate degree from Westfield State University in Elementary Education & Psychology. She currently resides in South Hadley with her husband and three children. Most evenings and weekends she can be found watching her children play hockey, soccer, basketball, lacrosse, and softball. In her spare time she enjoys running, swimming and spending time with family and friends. Jill has worked in childcare for 22 years, working with a variety of ages from infants to school age children. This is Jill’s 6th year at Woodside Children’s Center. Prior to working at Woodside Children’s Center, she worked at Young World Childcare Center in Easthampton for 16 years. Jill lives in South Hadley with her husband Kevin and Chocolate Lab Brady. Jill enjoys the beach, playing softball and the Red Sox. Brenda began working at Woodside Children’s Center in September 2011. She has enjoyed getting to know all her co-workers and meeting so many new families. Of course she gets to care for so many cute babies each day! Before Woodside Children’s Center, Brenda spent 15 years at Creative Kids Preschool in Westfield, MA caring for 20 children ranging in age from three to five. She also spent a year in Georgia caring for infants. Brenda lives in Easthampton as she has most of her life. She earned an associate degree in Early Childhood from Holyoke Community College. She is also Massachusetts DEE Lead Teacher Certified for Infants, Toddlers and Preschool. In her spare time, she enjoys traveling, the beach and sports, especially the New England teams–Go Sox! Alanna has been a toddler teacher at Woodside Children’s Center for 11 years and has worked as a toddler teacher for over 15 years. She has a daughter and son in elementary school. Both her children attended Woodside Children’s Center. Alanna enjoys music, dance, art and nature all of which she tries to incorporate in the classroom. When not teaching, Alanna enjoys hiking, African dance class and yoga! Ana is a graduate of UMASS Amherst with a bachelors degree in biology/pre-medicine and a minor in education. She had worked and volunteered with a variety of age levels including infants, toddlers, elementary students at the Chinese Immersion School in Hadley, college students. The majority of her teaching experience has been with toddlers at the Center for Early Education and Care at UMASS. Ana grew up in Hadley on her family’s dairy farm of about 250 cows. In her free time, Ana enjoys being outside, gardening, swimming, painting/drawing, and any type of DIY, craft project. Sue joined Woodside Children’s Center in April of 2017. Prior to joining us, Sue owned a family childcare center for 25 years in Belchertown. Where she lives with her family. She also spent time teaching at Head start in Amherst. Sue received her BA in Early Education from the University of Massachusetts in 2008. While not enjoying her time teaching children, Sue likes to go walking, hiking, doing yoga and camping. Sarah is a fun, energetic and creative individual. She is very eager to get to know and be a part of the growth and development of the children at Woodside Children’s Center. 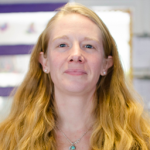 Sarah knows children learn best when they are in a comfortable environment and will make it a personal goal to get to know each individual child and their families. She is a firm believer in a creative curriculum, and how play is such a vital part of a child’s growth and development. While children play they build on their social skills, language and literacy development, physical development, and emotional development. Sarah just graduated in May from Holyoke Community College, where she received her Associates Degree in Early Childhood Education. 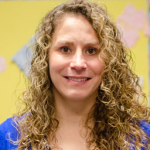 She has eight years of experience working in a childcare center, is Preschool Teacher certified and is working towards receiving her Lead Teacher certificate. When Sarah is not working she is enjoying time with her family. She comes from a large family and is one of the oldest. Her love for teaching children began at a young age and never faded. Sarah also enjoys going for walks at Ashley Reservoir in Holyoke and going to the dirt car races in New York with her Father. Allie began working at Woodside in the Summer of 2014 as an aide. After receiving her teacher’s certification, she became a part of our full time staff and is currently in our Preschool class. 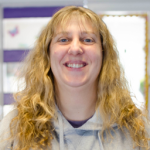 Allie has enjoyed her time at Woodside, and loves working with her students. Becoming a part of the Woodside team has encouraged her to continue her schooling and earn a degree in Early Childhood Education. When Allie is not at Woodside, she enjoys relaxing at home, cooking and reading.